FSY was pleased to host SCANPH’s Annual Membership Meeting on December 1 at FSY’s new offices. The yearly event is a great opportunity for SCANPH members to socialize with longtime colleagues and make new associations as they kick off the holiday season. 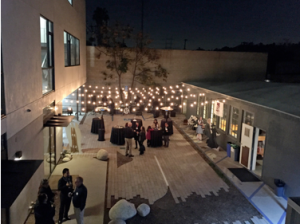 FSY Architects has been a long-time corporate member and supporter of the Southern California Association of Non-Profit Housing (SCANPH), whose mission is the production, preservation and management of homes affordable to low-income households. food and drink, and lots of good cheer.